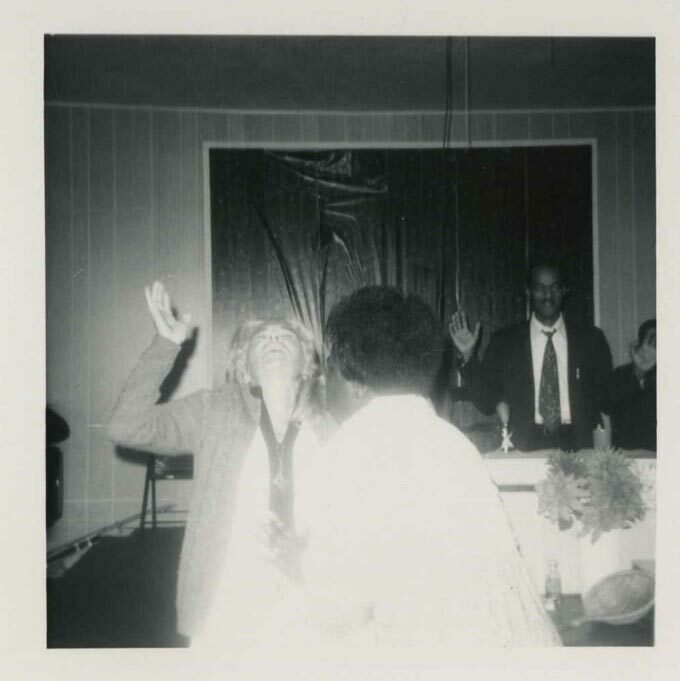 The exhibition “Evidence of Ecstasy” examines views on spiritual performances and their artistic documentation. Ecstatic states are described both photographically and cinematographically. The issues addressed, concern observations on the states of spinning out of control, ecstasy, and trance. In the mid-1960s, American Ted Serios (1918–2006) demonstrated powerfully before the film camera his ability to mentally will images [so-called “thoughtphotographs”] onto photographic film. During phases of intense physical and mental concentration he was able to achieve the depiction of a variety of images, among them a Neanderthal, on film. His powerful performance proves the probative value of film. Film and photography as analog media befit a particular probative value because they visualize the traces of the real, of something that is actually there – so was the consensus until the onset of digitization. 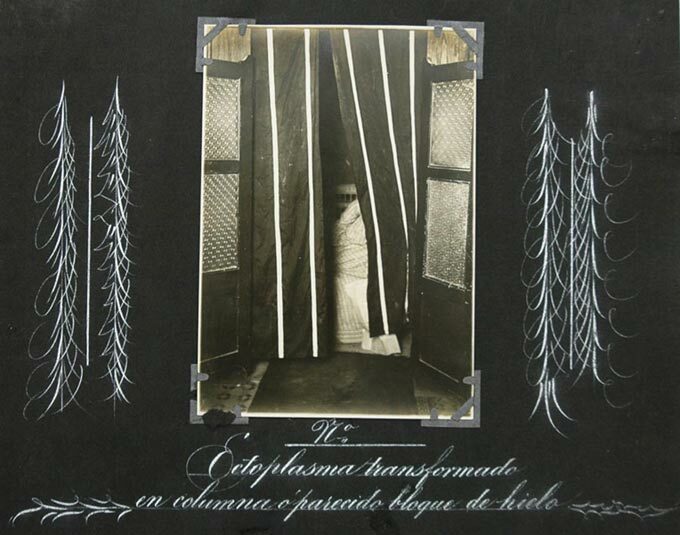 In spiritualism, in vogue from the mid-19th to the 20th century, photography played a specific role. 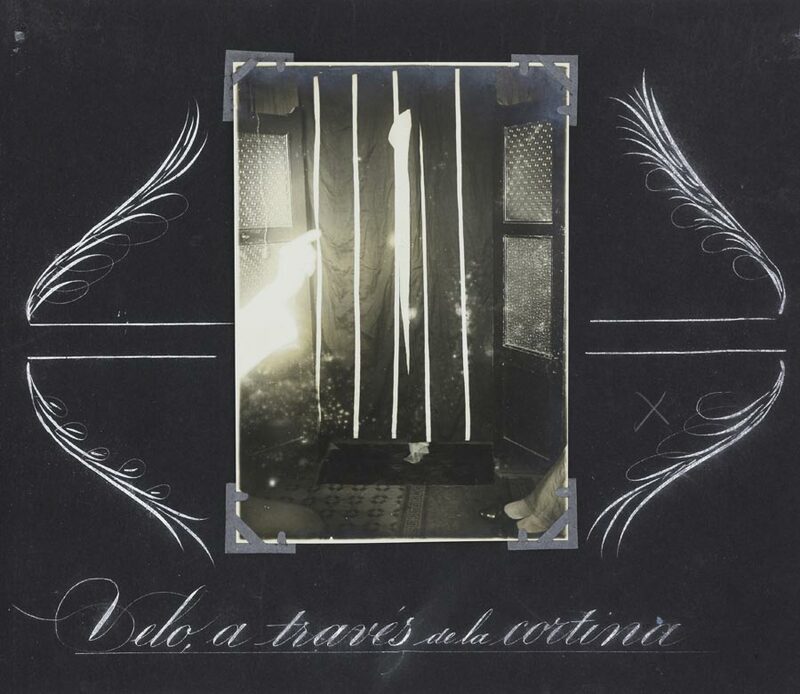 Spirit photography strove to make the invisible and inconceivable visible; this being the approach of Francesco Ponte: In the 1920s, the Puerto Rican dentist created a unique album of spiritualist photographs. 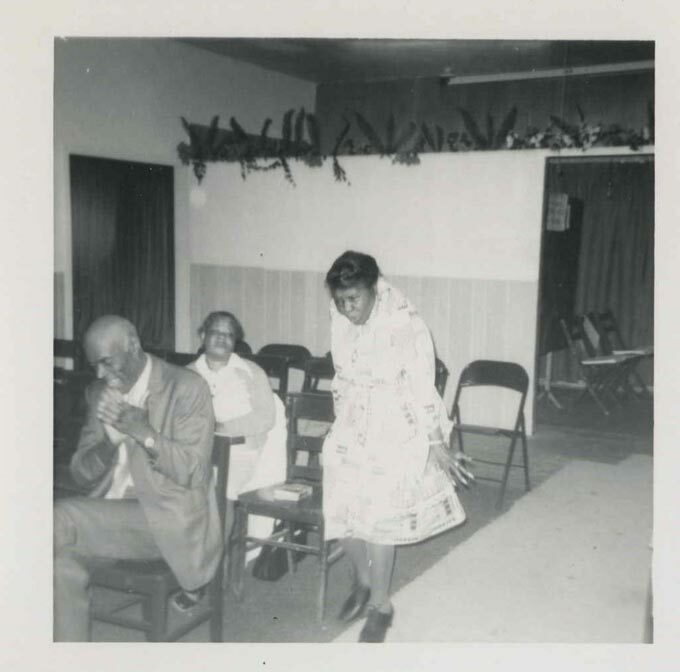 During the séances his medium, Carmen Wey, a housekeeper, was seated behind a curtain. 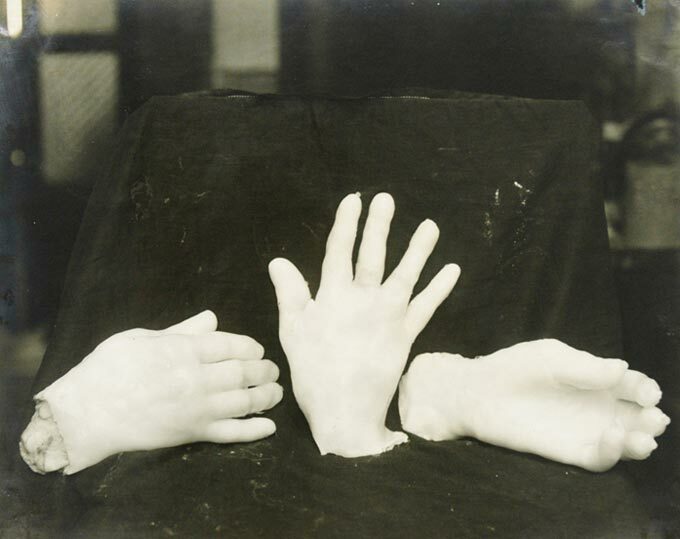 When the curtain opened, impressions of invisible spirit-hands, -feet, and -limbs became visible, which Ponte cast and subsequently photographed. These photographs are reminiscent of the surreal photographs by Hans Bellmer or Jean Frautrier. 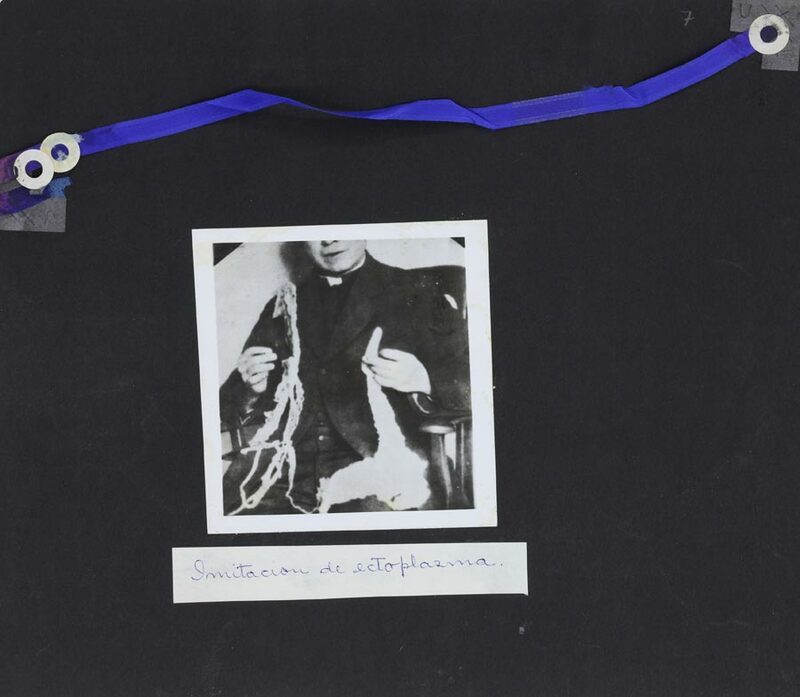 Others show ectoplasm, a white viscous, liquid substance, which exudes from the bodily orifices and in spiritualist circles, is considered a medium for the manifestation of spirits. Characteristic is a primarily celebratory solemn mood. 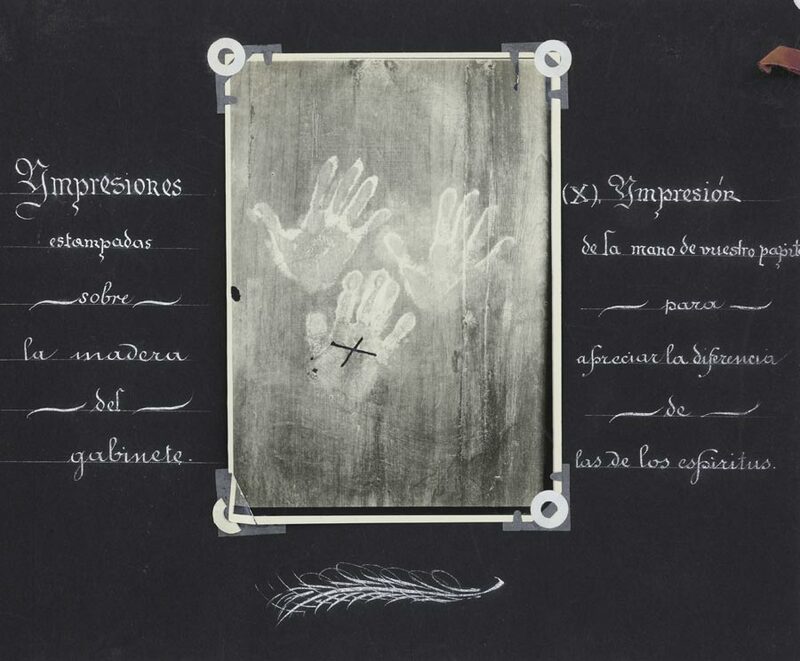 Ponte has decorated the 25-page album carefully by hand – the result is a rare and fascinating testimony of spiritualist photography. 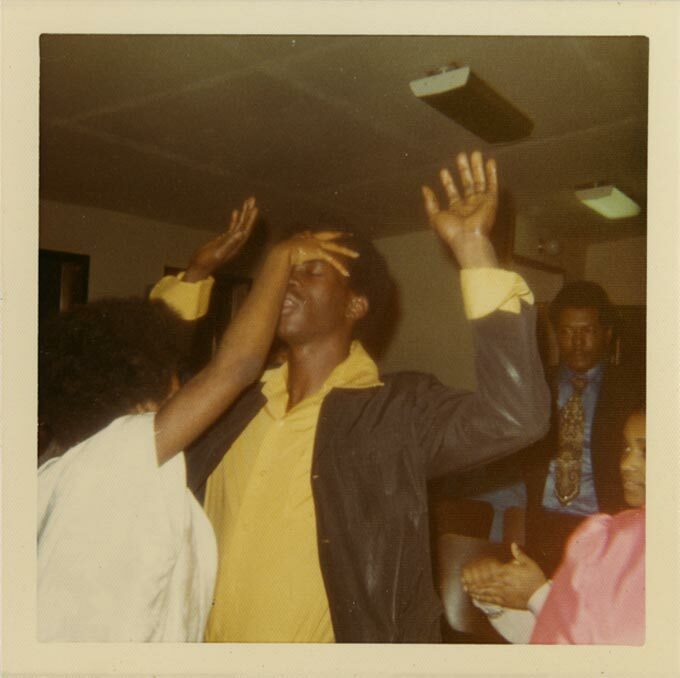 The impressive photographs of the anonymous collection Laying on of Hands, originating from the 1960s, document the ecstatic states of an entire African-American community: Children and adults are photographed in a state of ecstasy, some lying on the floor, many lifting their hands, others with closed eyes. 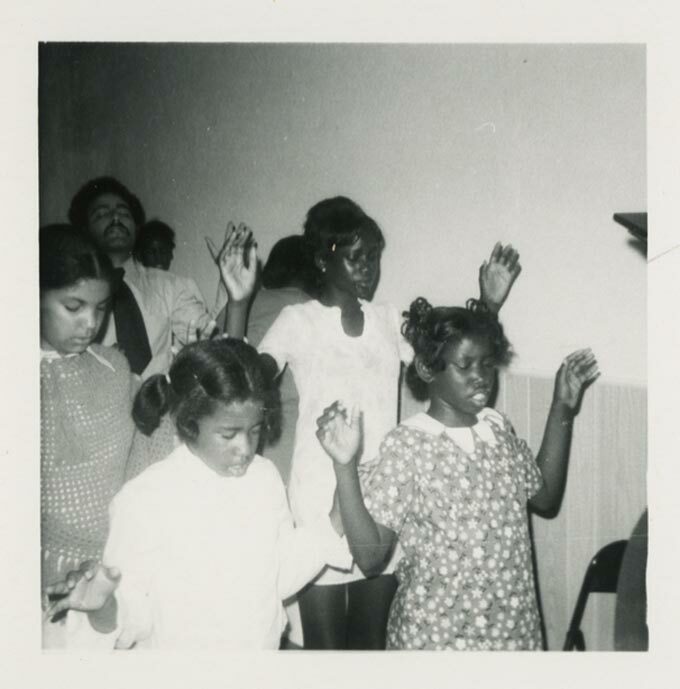 The participants lay hands on each other, perhaps as a gesture of healing. The perspective of the photographs leads right into the heart of the unknown ceremony, intensively transporting the enthusiastic mood, the music in the space can almost be heard, the dancers’ sweat almost smelled – at the same time everything remains strange and eerie. Unlike the works of Ted Serios and Francesco Ponte, the photographs of Laying on of Hands do not serve as evidence of the spiritual, but rather as documents of states of ecstasy, of being out of control. The expressive body itself is the evidence of the metaphysical process. 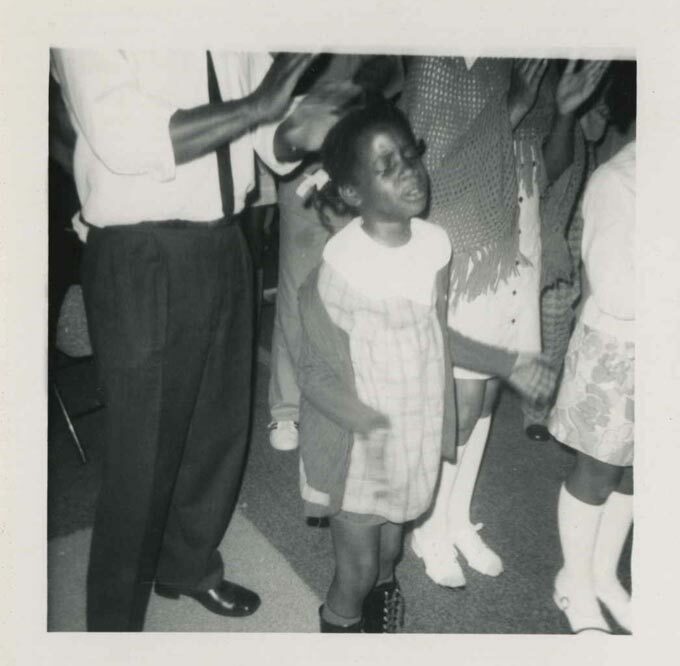 All photographs have one thing in common: They show states of trance. But as much as they reveal, at the same time they disguise, intrigue, pose questions, and eventually remain unreal proof of a mysterious reality. Here as in photography and film the photographed bodies function as media, in the state of trance becoming transparent for the Other, the actual which is absent. In the last decades much attention has been given to the phenomenon of spiritual art. The great exhibition “The Perfect Medium: Photography and the Occult” at the Metropolitan Museum of Art, New York (2005) for example testifies to this as much as the exhibition “In the Realm of Phantoms: Photography of the Invisible” curated by Andreas Fischer and Veit Loers at Museum Abteiberg, Möchengladbach (1997-1998). The film by Ted Serios will be presented with the generous support of the Institut für Grenzgebiete der Psychologie und Psychohygiene e. V. in Freiburg im Breisgau.